At Matanyah, we can fit you of a Sefer Torah to suit the requirements of your Gaboim and the reader and of course to suit your budget. The standard Torah scroll is 22″ or 18″ but we can costume make a larger or a smaller one at your request. Since they can get to be quite expensive we recommend you first decide on your budget and then choose the kind of ktav. 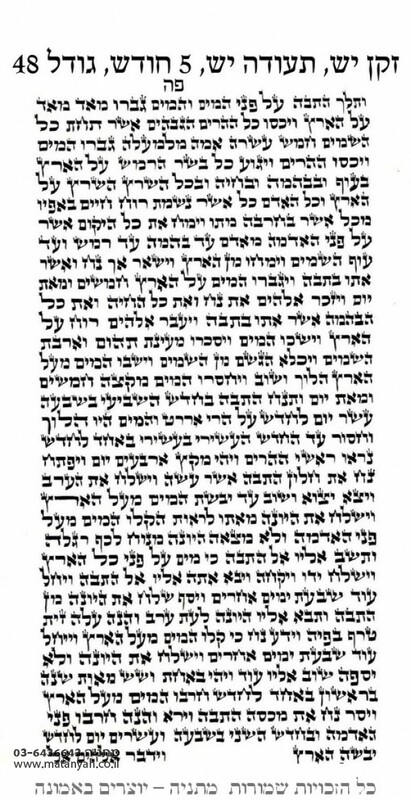 We can send you an actual sample of one sheet of the Sefer Torah for you to look at and you can also meet the sofer who wrote it. We personally check every Sefer Torah and all Sifrei Torah are also certified by the “Vaad Kedushat Stam’.